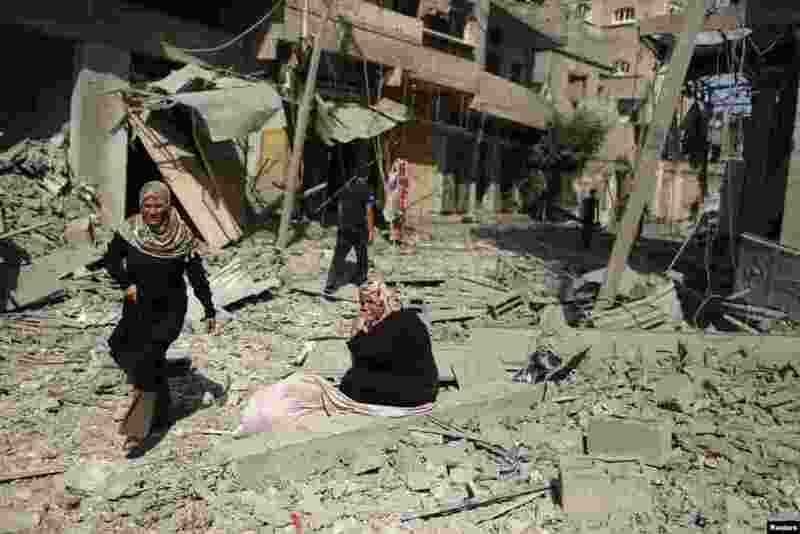 Reconstruction in Gaza, where heavy Israeli bombardment in a war with Islamist militants has caused widespread devastation and displaced a half-million people, will cost at least $6 billion, the Palestinian deputy prime minister says. Roughly 400,000 people will need housing and major infrastructure - a power plant and water and sewage facilities - have been destroyed. 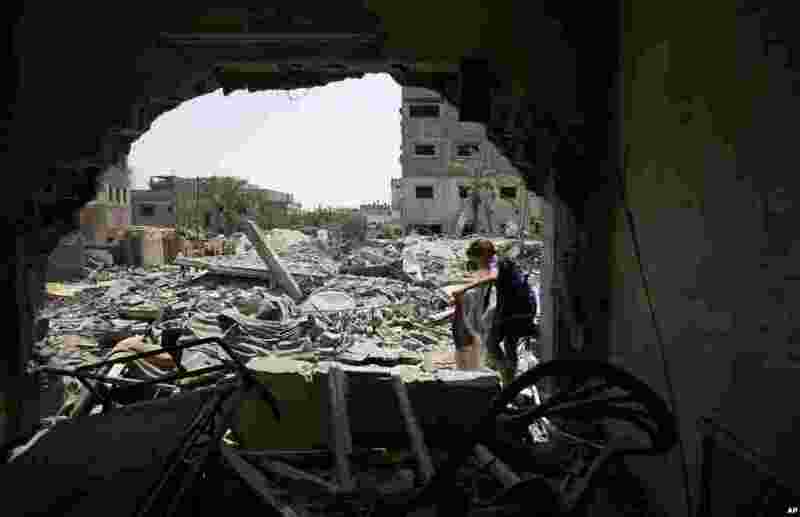 2 Members of the Issal family salvage belongings from their house that was destroyed in an overnight Israeli strike in Gaza City, Aug. 2, 2014. 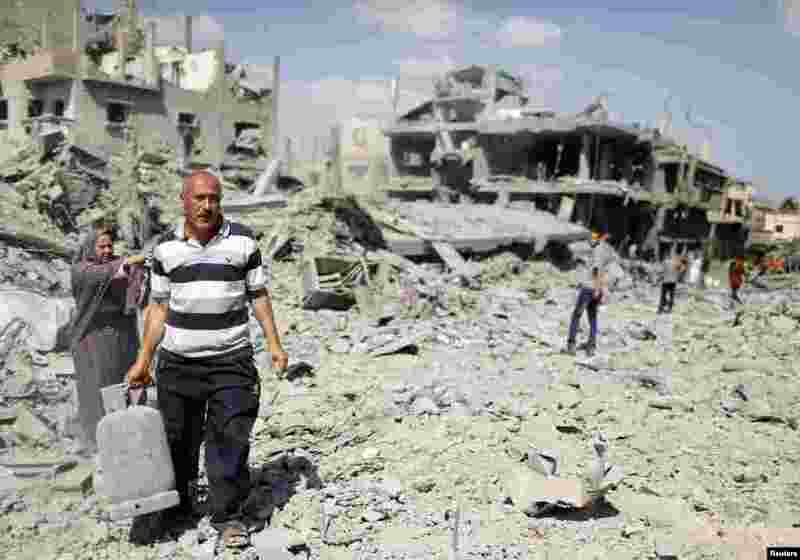 3 A Palestinian man carries a gas canister that he salvaged from his destroyed house in Beit Hanoun town, which witnesses said was heavily hit by Israeli shelling and air strikes during the Israeli offensive, in the northern Gaza Strip, July 26, 2014. 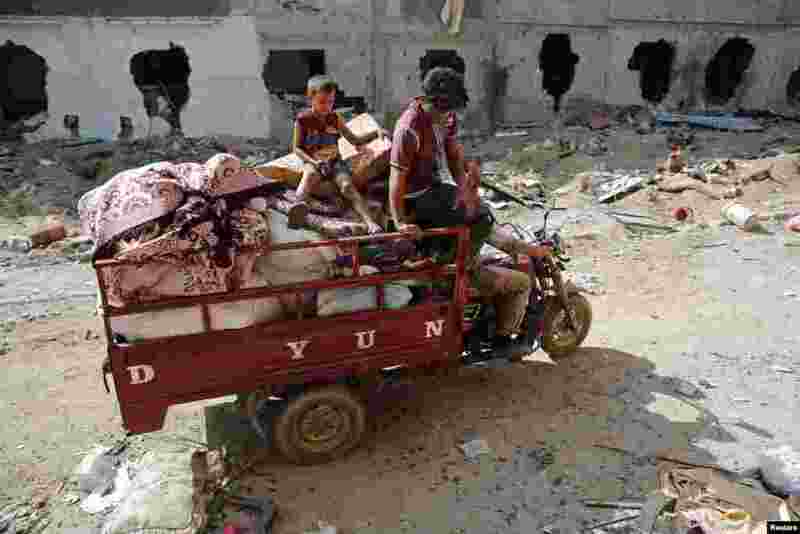 4 A Palestinian family salvages belongings from the ruins of buildings destroyed by what police said were Israeli airstrikes and shelling in Khuzaa, east of Khan Younis, in the southern Gaza Strip, August 3, 2014. 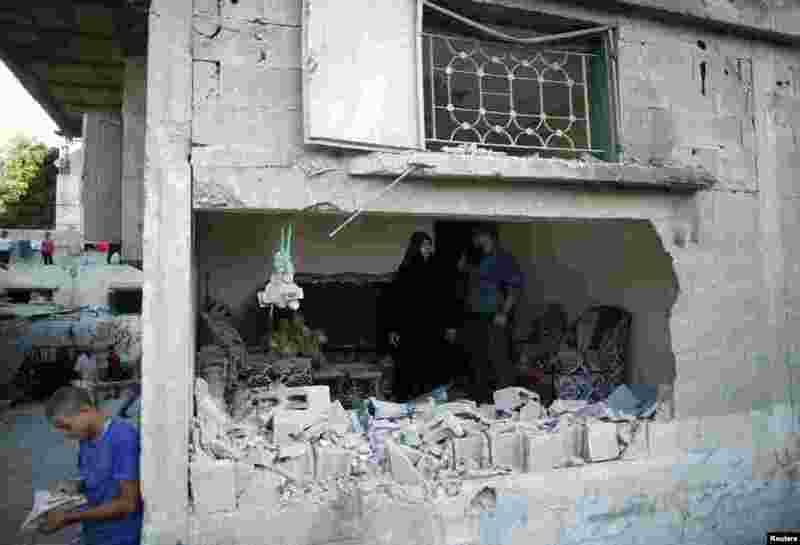 5 Palestinians stand inside a house which witnesses said was damaged by an Israeli air strike in Jabaliya refugee camp in the northern Gaza Strip, August 4, 2014. 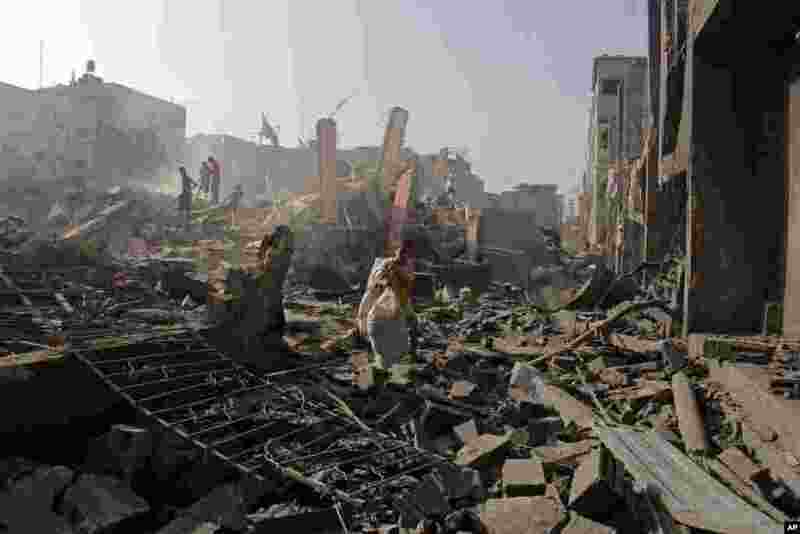 6 A general view of destroyed and damaged houses in Beit Hanoun town, which witnesses said was heavily hit by Israeli shelling and air strikes during the Israeli offensive, in the northern Gaza Strip, July 26, 2014. 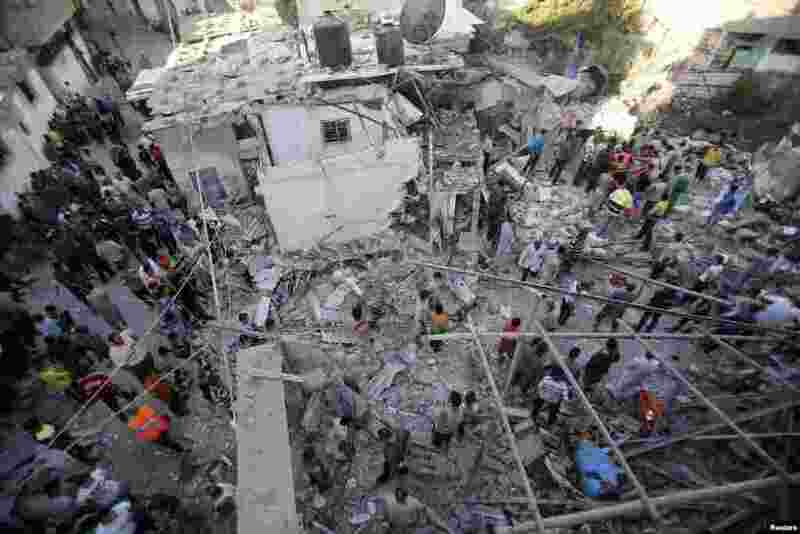 7 Rescue workers search for victims as Palestinians gather around the wreckage of a house, which witnesses said was destroyed in an Israeli airstrike that killed at least nine members from the al-Ghol family, in Rafah, southern Gaza Strip, August 3, 2014. 8 Palestinians look for their belonging after houses were destroyed in an Israeli strike in Rafah, southern Gaza Strip, Aug. 2, 2014. 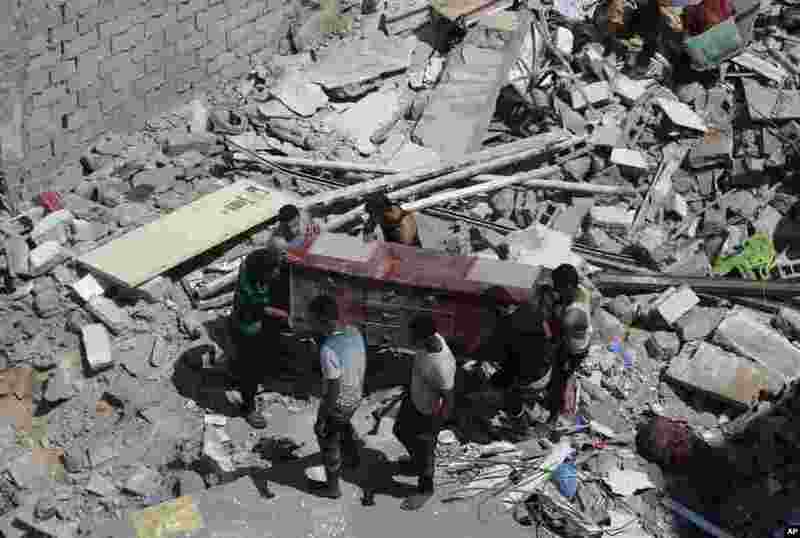 9 A member of the Abed Aal family salvages belongings from the family's house that was destroyed in an overnight Israeli strike in Gaza City, Aug. 2, 2014.